Possible gains in the Mamata Banerjee-ruled Bengal will help the BJP negate some of the expected losses in Hindi heartland states in the 2019 general election, feel strategists. Mamata Banerjee's government denied permission to Yogi Adityanath and Shivraj Singh Chouhan's helicopters to land in Bengal. This after repeatedly refusing to allow top BJP leaders to hold rallies and conduct yatras in the state. The Kolkata Police, clearly at Mamata's command, also entered into a stand-off with the Central Bureau of Investigation (CBI) that had come to the city to interrogate police commissoner Rajeev Kumar in relation to the Saradha chit fund scam. It is difficult to fathom! As part of its project to improve its position in east and south India, the BJP is putting in all efforts and using star campaigners like Narendra Modi, Amit Shah, Yogi and Shivraj in Bengal to exploit people's frustration with Mamata. Possible gains in Bengal will help the BJP negate some of the expected losses in Hindi heartland states, feel strategists. People fed up with 34-year rule of the Left Front voted for 'poriborton' in Bengal. But it is increasingly becoming clear that Mamata has now occupied the position once held by the CPM-led Left Front. She has adopted a similar strategy of using violence, intimidation and rigging to win elections. Clubs have taken over the neighborhoods. The state government nurtures 20,000-odd clubs with crores of rupees every year and these clubs in turn ensure that the area under them remains loyal to Didi. Also read: Mamata furious because BJP has hit her source of fund for Lok Sabha polls? The BJP, like the CPM, won two seats in 2014. In by-polls held since May 2014, the BJP has done well compared to the CPM and Congress. In 10 by-polls that were held in the state since the 2014 Lok Sabha elections, the BJP won one seat and finished second on five seats. The CPM couldn't win a single seat in this period. Mamata realises the threat from the BJP and that's why has upped the ante against the party. The upper castes and OBCs support the TMC in the state. At the national level, these voters are with the BJP. More than 60% of the upper castes and 30% of the OBCs voted for the BJP in the 2014 general election. 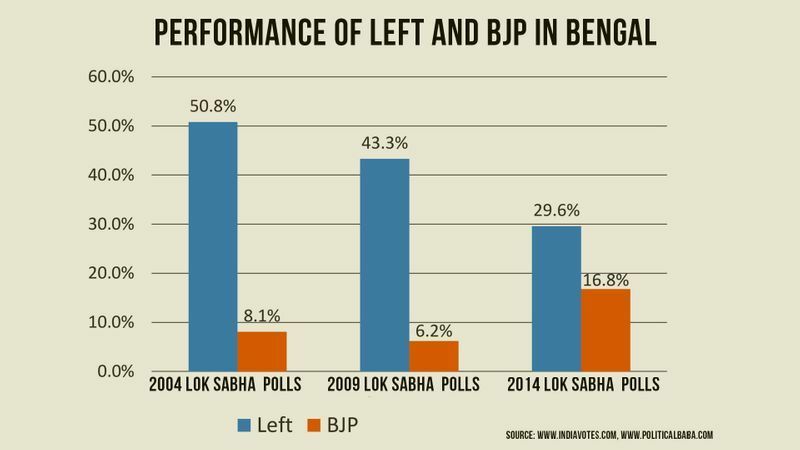 Even in Bengal, the BJP enjoys decent support among these two groups — 24% and 21% respectively. 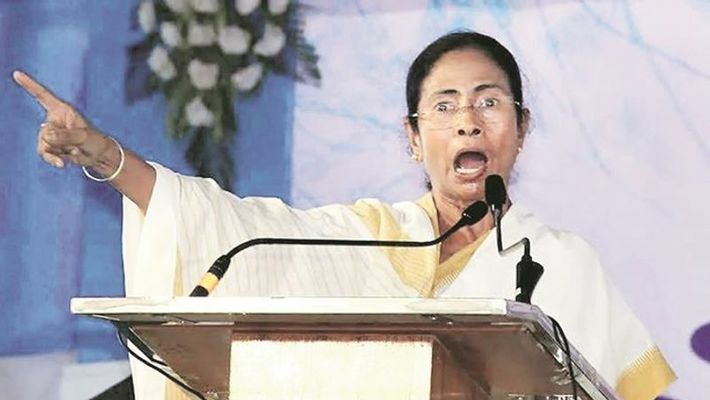 Mamata's fear is that the Hindus, frustrated with her minority appeasement politics, could consolidate behind the BJP and that could cause her significant damage. The absence of a strong cadre has been one of the BJP's weaknesses in Bengal. This is coupled with a lack of leadership to take on the charisma of Mamata, and hence the BJP's progress has been stalled in the state. Bengal is also known for class politics. The image of the Left and now TMC has been that of championing the rights of the poor and downtrodden. The BJP is currently seen as a party of the middle and rich class. But all said and done, general elections 2019 will see a cracker of a contest in Bengal and Mamata would not have it easy.